Join patron JT as he defends his dissertation by taking us on an excursion to an alternate world, a better world, where the radio airwaves are filled with the sounds of mahjong VGM. We proudly present you with KJNG (K-jong) radio. Through the magic and beauty of mahjong, KJNG mends broken hearts and heals wayward souls. You'll laugh, you'll cry, you'll wish this was a real radio station. If JT can't convince you that mahjong VGM is the best music on the planet, then perhaps one of the many other personalities in his head will. Along the way you'll meet a lonely vampire who laughs at his own jokes, a wizened old sensei who follows the way of mahjong, and an excited Rastafarian who loves that 8-bit reggae sound. Plus, many of your favorite characters from the jukebox bar will be there, like Haju, Carrot Man, and even Hakama. 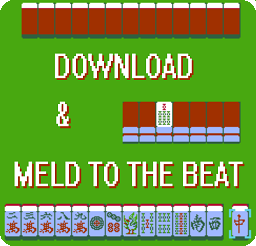 Slap your tiles down on the table and get ready for a mahjong experience you'll never forget! Josh and Emily are almost out of the Breakable Mist Zone, but there's one more act to go! Will they make it to the exit in time? Do blood stained ice shards form a beautiful crystal when stacked? Are they even doing this right? Tune in for the answers to these and many more questions, including: Why do hockey players fight? What is the Dreamcast Sound? And does it really matter? Also... one more thing... Josh wants to start a book club, but he didn't say the right name for the author. The name is Ian Bogost and the book is called "Play Anything," if you want to follow along. Anyways... get over here. It's the VGM Jukebox. Josh and Emily are in the Breakable Mist Dungeon to play a couple tunes of their own choosing. This is a very important episode for VGM historians, as Josh presents new publications in his field, revising the legend of Yumi Kinoshita. Meanwhile, Emily shares her analysis of earfeel and melody. Special thanks is due to Brent Weinbach of the Legacy Music Hour and to the VGM Podcast Fans Facebook group for spearheading our latest research. Also, a big thank-you to St. John for stopping by with Hakama to take the art of VGM Karoake to new levels of intensity and intrigue. 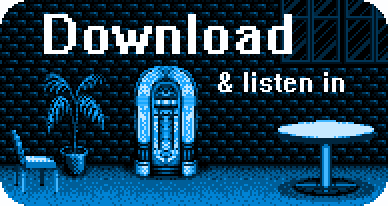 Feel free to take notes on this one as there may be a quiz at the end of the semester, here on the VGM JUKEBOX.